Packing your bags for a safari in Africa? We’re jealous! Imagine yourself viewing some of the most exotic and fascinating wildlife in the world while in a completely magical landscape. Now cast your eyes downwards and imagine what you’re wearing for your adventure. Some form of shorts perhaps, but what kind? 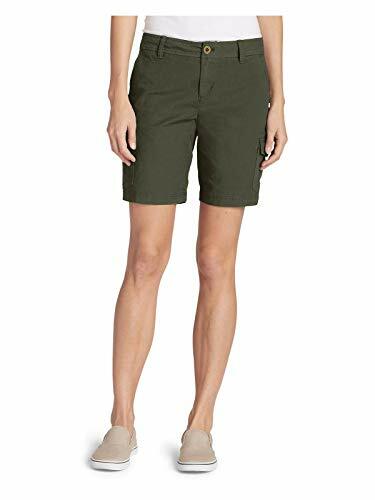 Are they comfortable, are they holding together, are they resisting the weather, and are your safari shorts the right color, or are you sticking out like a sore thumb? 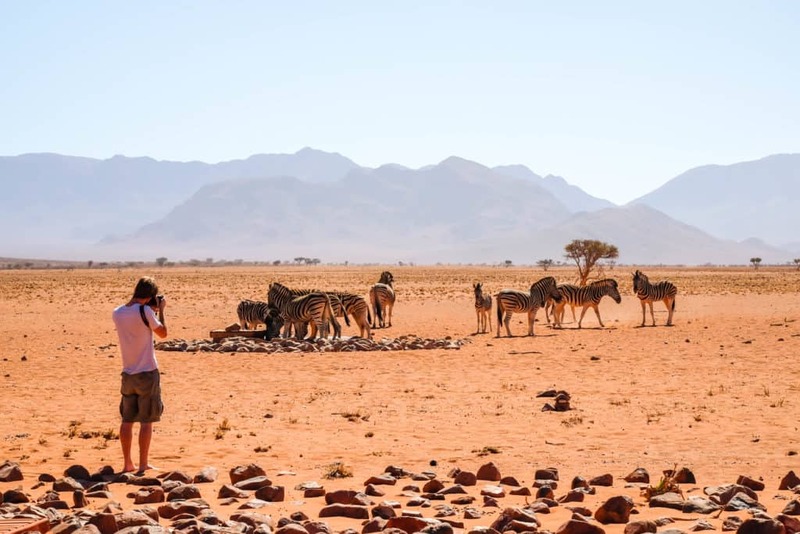 These are all questions you should be asking yourself to make sure you’re packing the right clothes for your safari in Africa. But we understand, it’s a lot to consider, especially when all the other items to pack come into play. 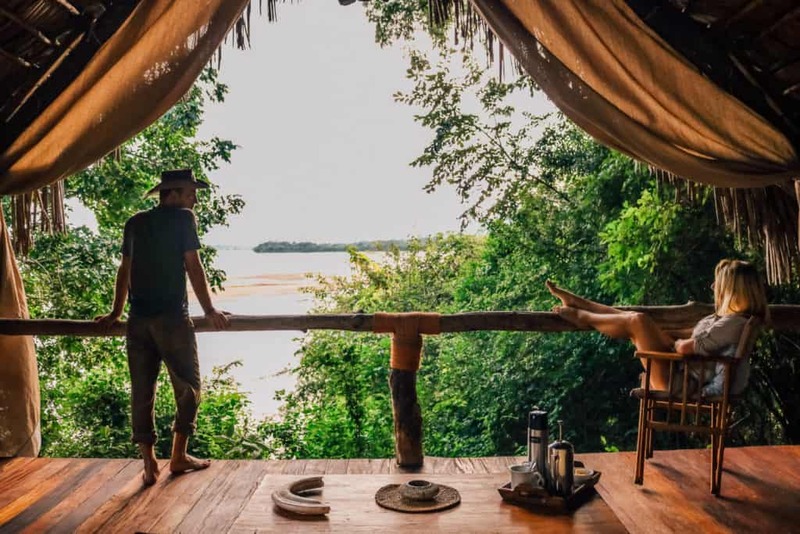 That’s why we’ve put together our list of the best safari shorts on the market, along with a detailed hit-list of the most important aspects to consider before purchasing. So read on, and get geared up for your adventure. In case you haven’t heard prAna is my absolute favorite brand of clothing. Almost everyday there is something on my body made from prAna, so it’s no surprise that I am recommending their Tess Shorts. Their Cargo Green color is great for bush walks and game drives around Africa as it blends in nicely to the environment. What I love about prAna is the material they use. In the Tess shorts, it is organic stretch woven canvas. These safari shorts have both front and back and stretch with you. I’ve noticed with most prAna products their sizes run a little big so it may be worth ordering a size down if you are unsure. 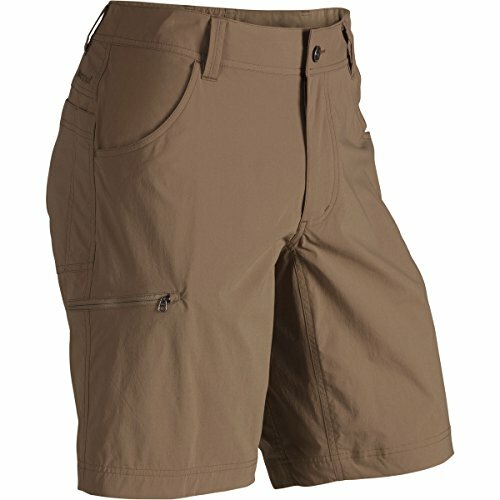 If you are after shorts that almost go to your knees the Horizon 2.0 are a great option. Although they are longer shorts you can roll them up to a lenght that suits you. These particular safari shorts quick-drying – very useful in case you get caught up in a rainstorm. What I like the best is the material. North Face makes them durable with abrasion-resistant nylon, but they still remain lightweight. Two other great features are that these provide sun protectant and have an internal Velcro passport pocket for when you are traveling. Mountain hardwarehas been making rough and ready clothing for the extreme adventurer for years, and they sure do it well. The AP short embodies this dedication to utility by producing a rugged canvas fabric that is both durable and stretchy. 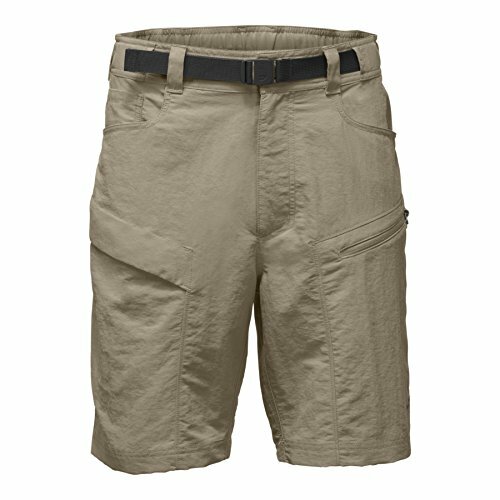 The stretchy aspect to these shorts will keep them nice and comfortable as you’re climbing in and out of a safari truck. Yet the nylon and cotton blend will also hold up to the rough environment and some abrasion. We also like how, despite their tough build, these shorts are still stylish enough for relaxing evenings at a lodge or in camp. Mountain Hardware also produces these shorts in a wide range of colors, so you can perfectly match your wardrobe to the season at your destination. Many backpacking guides around the country favor Eddie Bauer’s Guide Pro line of clothing, and the shorts are no exception. They feature the perfect blend of nylon and spandex to give you a durable yet comfortable and stretchy fit that is suitable for anything from mountain scrambling to a day of fashionable travel. These shorts also sport a Durable Water Repellent (DWR) finish to help keep you dry in wetter conditions. Remember, DWR doesn’t mean waterproof, but they’ll definitely help shed the water droplets and keep them from soaking in. We are also fond of the two cargo thigh pockets, in addition to the regular hip and back pockets. This ensures that you have plenty of storage space for a day of wildlife viewing. Columbia is yet another household name when it comes to top-notch outdoor clothing. 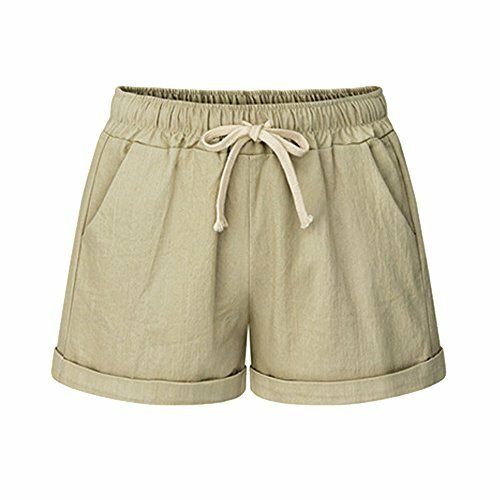 Their Outdoor Elements short is an excellent balance between function and fashion that can be the perfect sidekick for your safari. These shorts also feature a DWR finished to support water repellency during those wetter days. Additionally, they also support UPF 50 sun protection to assist on the hotter and sunnier occasions. A single cargo pocket on the thigh helps keep gear where you need it during longer days, while the inclusion of elastane in the material allows for nice stretch on your adventures. All in all, a solid choice for your safari adventures that won’t break the bank either. The Ferrosi puts forth Outdoor Research’s take on the adventurer short with another compelling combination of good looking ruggedness. The nylon spandex blend keeps them nice and comfortable, but with enough freedom of movement for those crouching moments to snap the perfect picture or peer at wildlife through your binoculars. The handy zippered thigh pocket gives you a little more space for gear, while it’s low profile enough to make these shorts an excellent choice for dinner out with friends or a rugged day on a safari. Be aware, however, these guys come in a 12” length, which rides right around knee level. Some folks prefer shorts just a tad shorter, and if you’re one of them, we recommend checking out some of the other suggestions. As we said earlier on, the season and area you visit can make for some serious temperature swings during the day! Starting a safari early in the morning to catch sight of reclusive animals, and then spending all day in the field, may easily see the thermometer swing from chilly to sweltering in no time. It’s with just this scenario in mind that Columbia launched their convertible Silver Ridge pant. You can start the day in long pants to keep the early morning chill out, then transition to shorts as the sun begins to heat up. Like the Columbia Outdoor Elements short above, these pants have the water repellent finish along with UPF 50 sun protection. They additionally sport dual thigh pockets for maximum gear storage and enough overall stretch to keep them comfortable in both the pant and short configuration. 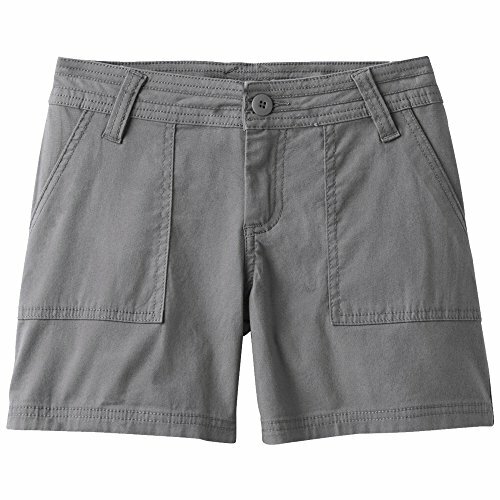 These tough shorts by prAna are built expressly for tough activity in heat. They feature a phenomenal moisture-wicking finish to keep you nice and dry if the sweat valves get turned on. The material, in turn, is quick drying nylon that will help prevent moisture buildup. 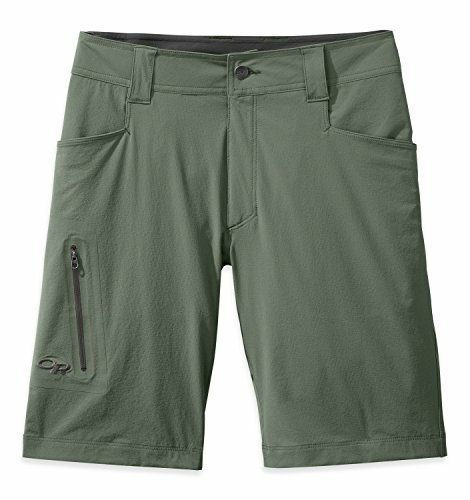 The short goes even further in temperature control and includes built-in ventilation on the inseam. The reason? 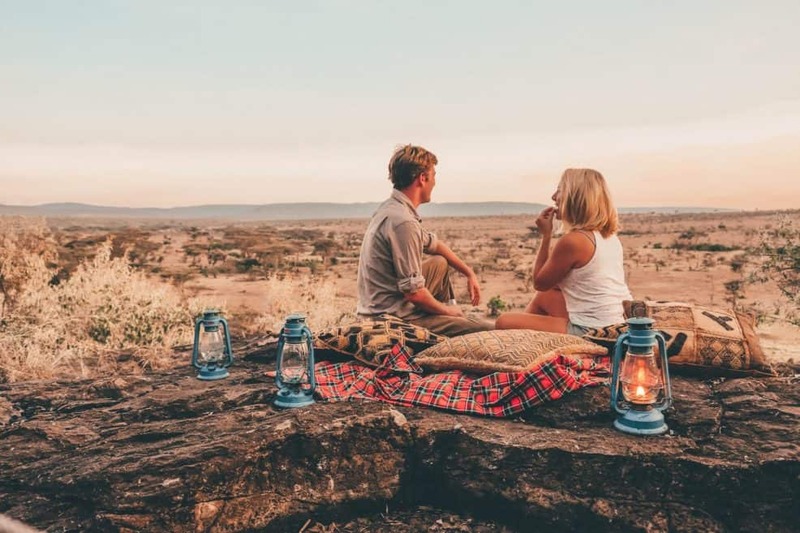 Well, let’s be real, whether you’re sitting in a safari jeep or working your way through the bush, things get toasty and a little extra ventilation is always appreciated. Throw in UPF 50 sun protection and a highly abrasion-resistant material in addition to its fantastic heat control, and you have a short that earns a place in our top 10 list without even breaking a sweat. The North Face is a tried and true producer of some of the most rugged adventure gear on the market. From alpine tents and jackets to sleeping bags and backpacks, they know how to make their products last. The Paramount Trail Shorts fall squarely into this heading with a tough nylon construction. 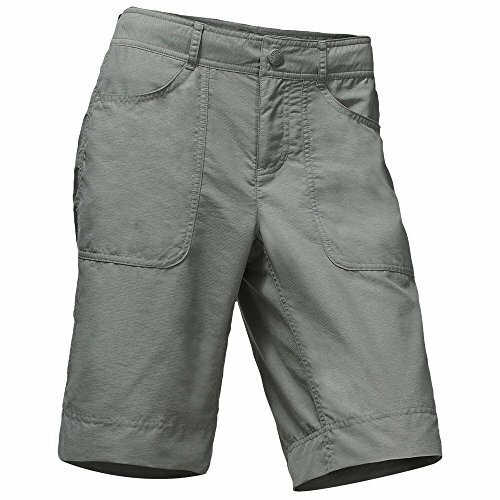 Zippered cargo pockets and a nice relaxed fit make these shorts perfect for a day outdoors, and the built-in sun protection provides an excellent barrier against those rays. 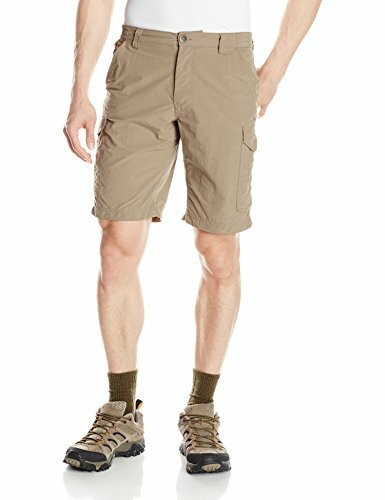 While not as stretchy as many of our other recommendations, these shorts are still an excellent safari choice with their plethora of pockets, fit, and long-lasting construction. 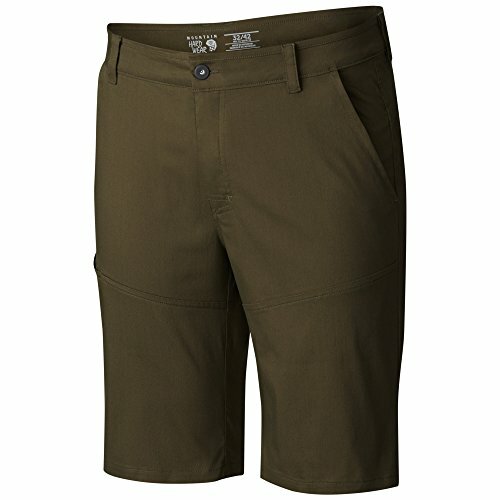 Yet another tough little pair of shorts comes from the mountain masters at Marmot. The Arch Rock short follows our trend of abrasion resistant material that will hold up to constant motion in tough environments, and remain comfortable for the entire time. The breathable, UPF 50 protected shorts also come with a zippered thigh pocket and gusseted inseams for increased mobility. This particular short is also Bluesign approved, meaning that it is manufactured through sustainable textile manufacturing. 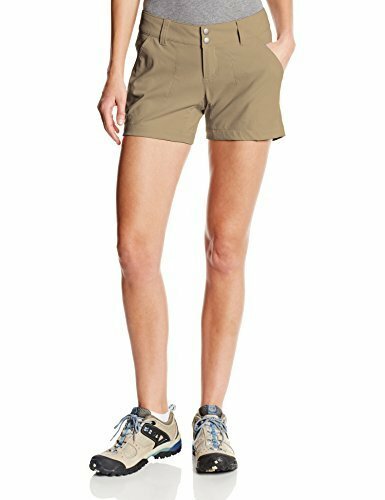 If you’re on the hunt for a lightweight safari short that’s bursting with pockets, take a look at Craghoppers. These shorts are extremely wear-resistant to keep you on the move, and feature phenomenal moisture control to keep the sweat at bay. They, of course, sport exceptional solar protection along with a proprietary insect repellent. This Nosilife insect repellent technology is woven directly into the fabric, a definite plus when out in the elements and at the mercy of the bugs all day. Lastly, these shorts have pockets for just about everything you could need. Two hip pockets, along with embedded security zippered pockets, two rear pockets, and two thigh pockets. So bring along everything you need. Heading for cooler mornings or evenings? 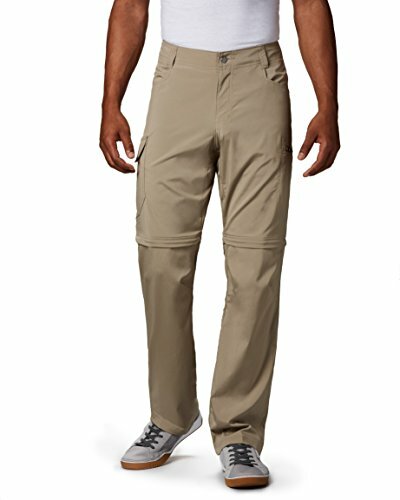 Take a look at the Nosilife Convertible Pants to keep you nice and warm. When the sun is shining and the heat is rising, the Equinox shorts will do their utmost to keep you cool. The moisture-wicking and quick-drying material will support a nice cool adventure, while the material is very lightweight and stretchy to keep you on the move. The Equinox shorts also feature a DWR finish for those wet conditions when the weather moves in, and the UPF 50 solar protection will shield you when that weather clears up. Don’t think that you’re just going to Africa and it’s automatically going to be hot. The weather there can vary in extremes, so proper research beforehand is pivotal. It’s important to note the region you are going to and the time of year you are traveling. The two main seasons are dry and rainy season. For example, if you’re heading to Southern Africa during their dry months, April to October, be prepared for cooler mornings and evenings. If you’re heading to East Africa around this same time, however, April to June, you’ll need to be prepared for much more humid and wet conditions. Read more in detail about how to plan a safari here. So as you can see, there’s variation! Depending on where and when you go, there will be sharp differences in the temperatures ahead. We therefore highly recommend that you plan your shorts selection accordingly. 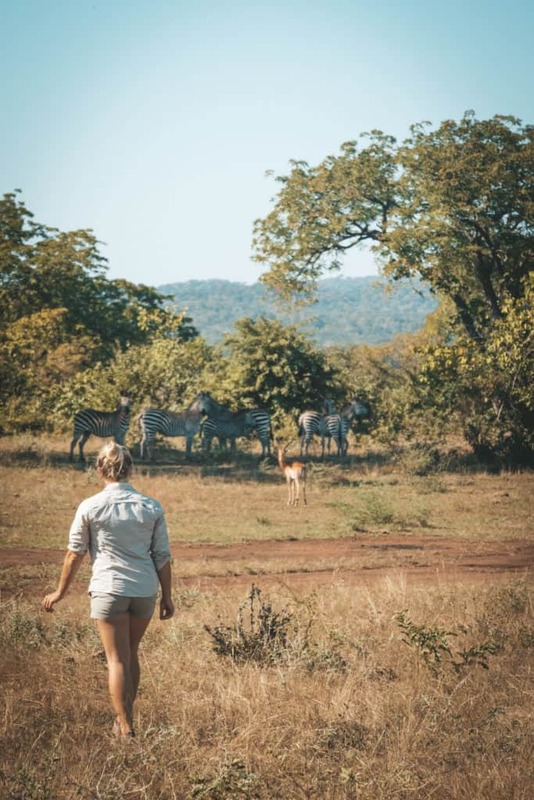 The goal of the safari is to view wildlife, which in turn means that your goal is to not spook wildlife by wearing bright pink neon shorts when trying to see them. So while you’re researching the weather at your destination, take a look at a few pictures and get a feel for nature’s colors in that area, and dress to match. Khaki, dark green, beige, and grey are popular colors to wear on safari. If you don’t have the right color shorts it’s not the worst thing in the world, but it may make you stand out. A safari isn’t exactly the cushiest environment for clothes. You’ll be climbing in and out of cars, hitting the dusty trail on bumpy roads, and walking through the bush. It’s therefore important to make sure you opt for a pair of shorts that are built with this kind of use in mind. 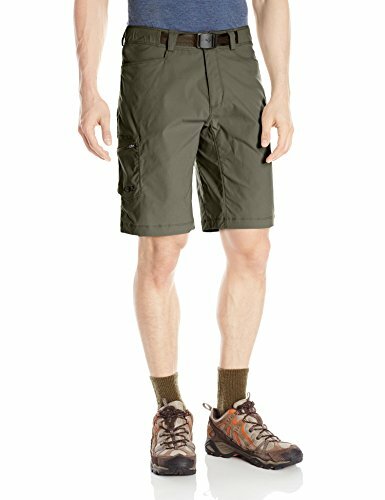 We recommend aiming for shorts designed for hiking or backpacking when shopping. You’ll then be sure to find some of the most rugged and long-lasting materials on the market. As you know by now, the weather for your safari can potentially be very hot or very wet, or both! Depending on what you’re facing, keep an eye out for shorts that will perform well in those environments. In the case of a toasty trip, shorts with built-in ventilation and moisture wicking technology will perform best. These will wick any sweat away from your body to keep you nice and dry, and at the same time, the shorts themselves will dry quickly to avoid becoming sodden. But when the weather turns wet, a water-resistant finish will help keep rain from soaking in. You’ll typically see this listed as a ‘Durable Water Repellent (DWR).’ Lightweight, quick-drying material will also be a plus in this department for any moisture that happens to sneak through. A safari often doesn’t allow for a wide range of clothing options. 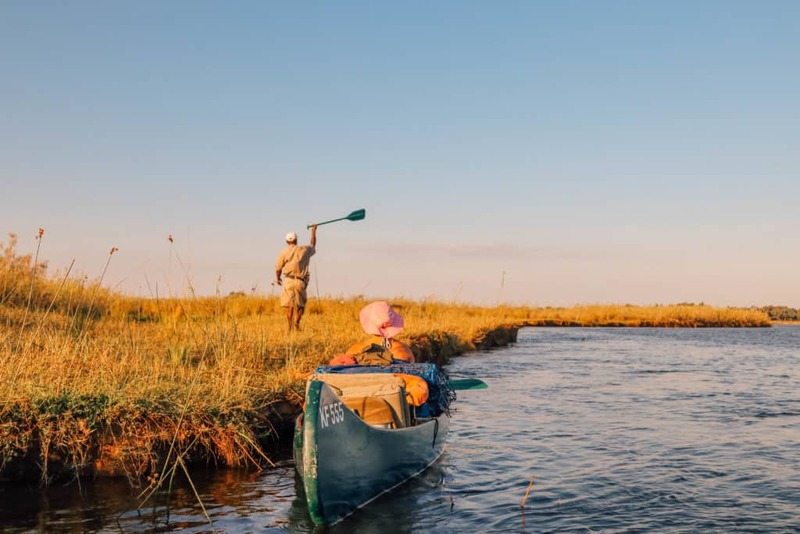 You’ll find that one pair of shorts will need to last you for every aspect of your day, from early morning at camp, to a day of wildlife viewing, to an evening back at camp or maybe even to dinner. 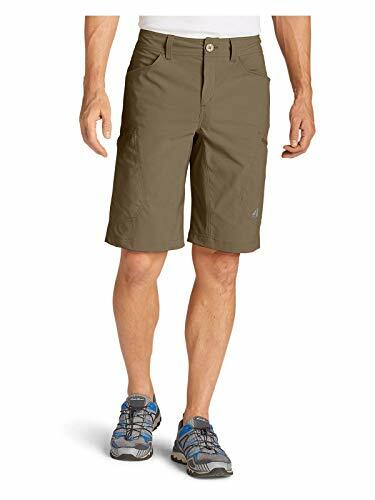 It’s therefore very helpful to find shorts that embody the heavy-duty ruggedness of the trail, but can also be just as acceptable at a casual evening event with your safari buddies. 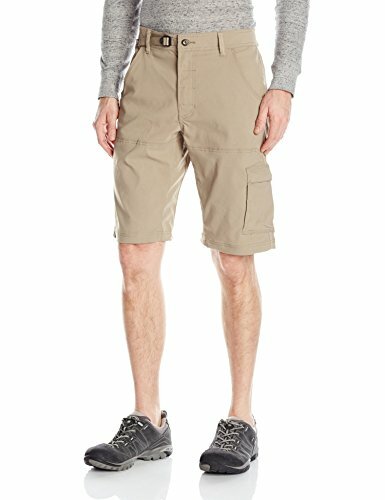 Where to Buy Safari Shorts? We have found the best place to buy safari clothes are online. Amazon has great deals and prices and if you are Prime member then two day shipping is free. REI is another great outdoor company to find a variety of safari clothes as well. A few of the best safari clothing brands today are prAna, TAG safari, Royal Robbins, Ex-Officio, and Columbia.